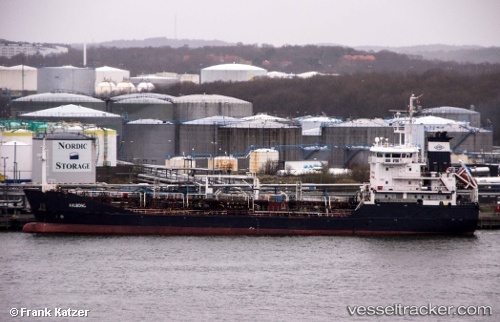 Nov 26 (Reuters) – OW Tanker, a unit of bankrupt OW Bunker and owner of its marine fuel supply ships, has been taken over by a newly-created company, the fleet manager told Reuters on Wednesday. OW Bunker, the largest ship fuel supplier in the world, collapsed earlier this month after it said it had lost almost $300 million in hedging losses and unauthorised credit lines given in Singapore. Henrik Pedersen said the takeover by Alba Tanker ApS, which has the trustees of the bankrupt company on its board, is part of the process of securing assets for the estate. “We are not a very big part of the company,” Pedersen said by telephone. “We’re the ship-owning part of OW Bunker and Trading. And that was our biggest client, of course, but we have always been run as a separate company.” OW Tanker owned 10 vessels and chartered 19, according to its website. Pedersen said it employs around 115 people, mostly vessel crews, and is now looking for new clients. PricewaterhouseCoopers (PwC) said it had agreed with ING Bank NV and OW Bunker’s trustees to work together in recouping some $750 million the company owes to a group of 13 banks, including ING. OW Bunker has announced the acquisition of two "state-of-the-art" bunker barges OW Copenhagen and OW Aalborg, built in 2006 and 2005 respectively, which will operate within the Nordic region of Europe. According to the emailed press release, both oil major approved vessles are double-hulled 3,500 dwt tanker barges with a tank capacity of 4,260 m3 and pumping rates of up to 600 m3/hr. The bunkering vessels are also both fitted with Coriolis mass flow meters for measurement of the volume of fuel delivered. Prior to the acquisition, OW Bunker operated both vessels on a bare-boat charter from international shipping company the Clipper Group.